Can Fidelity and Bakkt Fix Bitcoin’s Liquidity Problem? It’s no secret that cryptocurrencies are facing a Bear market, with Bitcoin leading the way. In the past week alone, the digital currency has lost more than 35% of its valuation. The vast majority of cryptocurrency analysts believe that the hard fork of Bitcoin Cash is the culprit behind the ongoing crash. One of the largest reasons Bitcoin is susceptible to large sell-offs is due to a lack of liquidity in specific Bitcoin markets. The hard fork and power war between Bitcoin Cash has only served to exacerbate the problem. 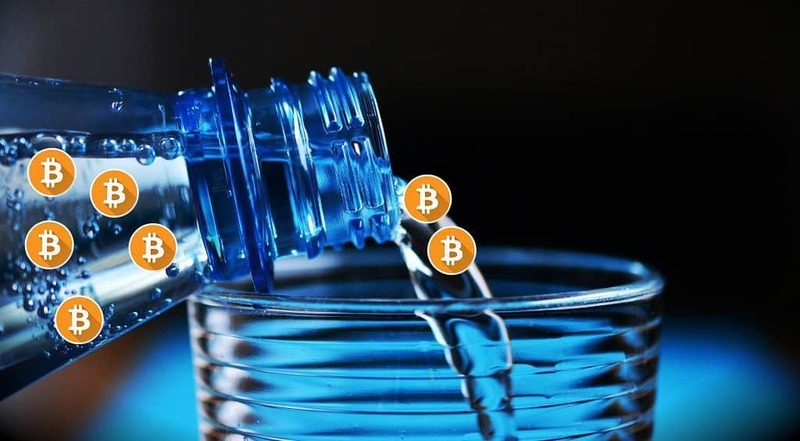 During the following months, as Bakkt, Fidelity, and ICE enter into the cryptocurrency space, the market could realize an increase in Bitcoin liquidity. This could results in an upward tick in capital throughout the digital currency industry, which would help offset some of the big sell-offs currently being seen. With the current process, it can be challenging for the average trader to begin investing in digital currency. Platforms like Bitstamp and Coinbase require copies of passports or other government-issued documents along with other arduous Know Your Customer tasks. Additionally, these platforms require investors to comply with their rules and policies. These challenging and difficult systems were adopted by digital currency exchanges based on requests by governments. For instance, South Korea, Japan, and the United States have all created limitations on the cryptocurrency market. This means only a small subsection of investors have the ability and knowledge to invest in emerging tech like digital assets. The problem lies in how difficult it can be for new capital. Global companies find it difficult to purchase Bitcoin in a method that makes sense for them. For example, a wealthy person from an older generatoin is not going to take a picture of their passport and send it to a website. It’s just not a reality. These types of people invest with larger firms like Wells Fargo or Goldman Sachs. Due to the recent Bitcoin Cash hard fork, many investors are beginning to lose confidence in Bitcoin. As a result, there are a limited amount of traditional on-ramps for the cryptocurrency market to help absorb some of the losses encountered in the digital currency sector. Which has led to the problem of low liquidity within the cryptocurrency market itself. When Bitcoin was stable, as it was throughout most of the year, liquidity wasn’t as much of an issue. Low volatility means confidence in the market. However, when a contentious fork occurs, which is the case with Bitcoin Cash, confidence in the market dwindles, as does liquidity options. The hope is that financial regulations, along with Fidelity and Bakkt, will bring enough capital to help soak up a lot of the current losses. Currently, both Bakkt and Fidelity are targeting institutional investors as their primary clients. However, if large financial companies like Morgan Stanley, Goldman Sachs, and Fidelity start to offer digital currency investment opportunities to retail traders – which they mentioned they would do in October – a substantial amount of liquidity could begin pouring into the individual investing area in cryptocurrency.